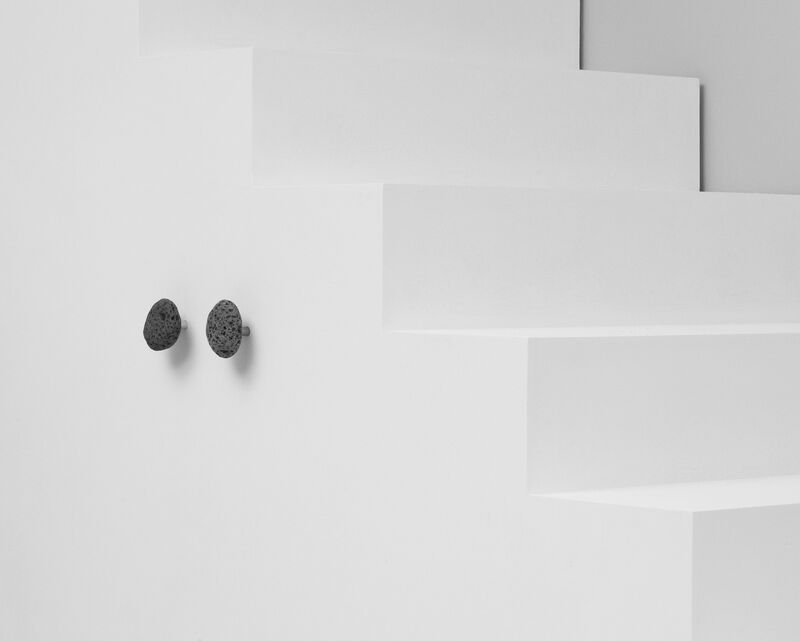 "Stone is a series of hooks in a strong, yet simplistic, design. 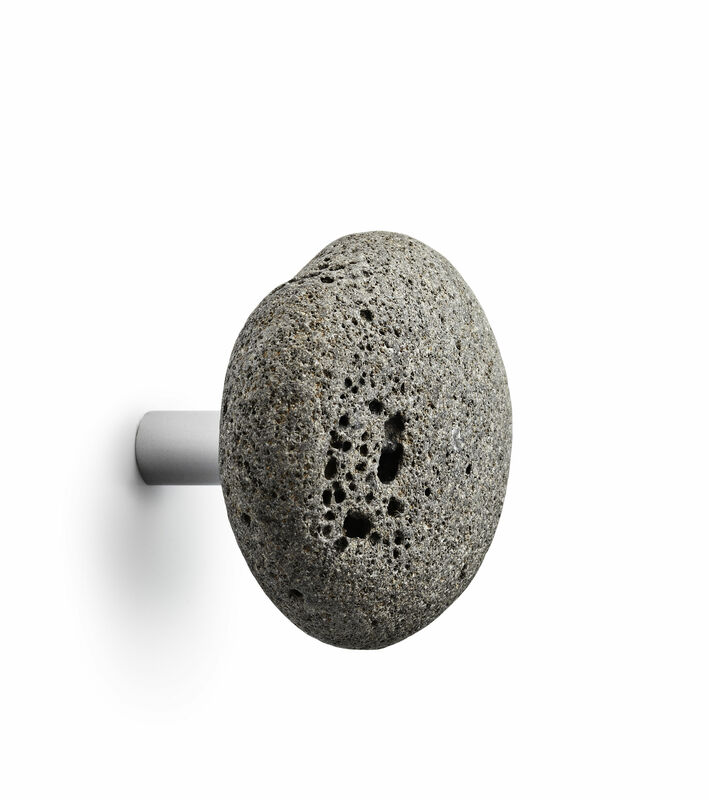 Each Stone hook is different and introduces a natural element to your interior design. Helga Sigurbjarnadottir got the inspiration for the hook on a summer day while walking on the Snæfellsnes peninsula on the west coast of Iceland. She came over myriads of beautiful stones that had been polished by the sea for millions of years. Helga was inspired to continue to work on this natural material, and create a design for a series of hooks. Helga Sigurbjarnadottir tells us: ""I am very inspired by nature and its thousands of faces. A stone is not just a stone, but is found in innumerable shapes and degrees of hardness. 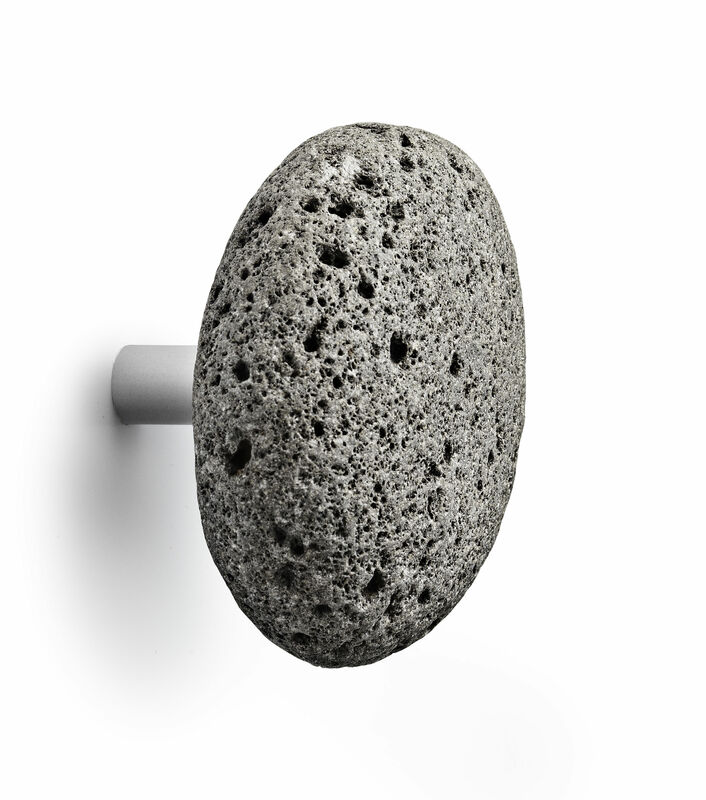 Stone is a hook full of contrasts, both when you look at it and touch it. It is all about using natural materials to create our own little landscape at home, with an object we all need, a hook."" 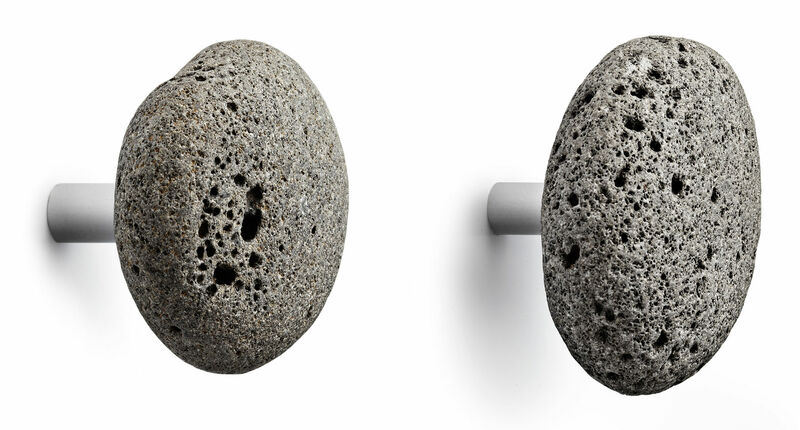 Stone hooks brings a piece of Icelandic nature indoors."